MP Pre Polytechnic Results 2018: Madhya Pradesh Professional Examination Board (MPPEB) has conducted the Pre-Polytechnic Test (PPT) examination on 15th April across the state. Many of the candidates have appeared for the MP PPT examination this year. The MP Vyapam board has conducted the Pre-Polytechnic Test across the state of Madhya Pradesh. The MPPEB has already released the answer keys for the conducted examination. All the hopefuls competed for the PPT examination have checked the answer keys. And the aspirants competed for the examination are waiting for the results. All the hopefuls competed for the MP PPT examination can download MP PPT result 2018 shortly from the official website, peb.mp.gov.in. 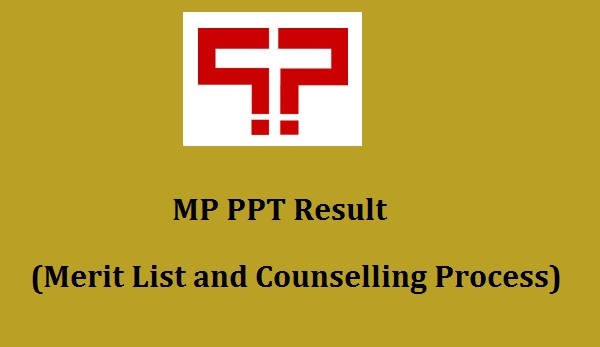 Candidates can check more details about Madhya Pradesh PPT result, cutoff marks, and merit list details from here below. Madhya Pradesh Professional Examination Board (MPPEB) is the state level board that organizes various entrance examinations for the students. Based on the merit of the aspirants, the admission will be given to the students. The MPPEB is also known as MP Vyapam. It annually organizes various entrance examinations annually. The MPPEB has recently organized the Pre-Polytechnic Test to offer admission to the students into polytechnic/diploma courses. PPT (Pre-Polytechnic Test) is the selection test that is led for those students who are looking for confirmation into different Diploma Courses i.e., into Engineering/Technology/Non-Engineering that have been offered by the organizations (alongside Aided and in addition Unaided Private Institutions that are running as second move in Private Engineering Colleges) in state Madhya Pradesh consistently. The Madhya Pradesh Vyapam is expected to release the PPT results soon. As per the reports, the board is expected to release the results in 1st week of June (tentatively). Along with the result, the MPPEB also will announce the cutoff marks and merit list. Candidates who score the best merit in the examination will get the admission in various polytechnic colleges of Madhya Pradesh. The MPPEB also will announce the cutoff marks/qualifying marks for the PPT examination. Candidates competed for the PPT exam should score the minimum cutoff marks to qualify the examination. Candidates scoring the cutoff marks will get admission based on their rank. The MPPEB will release the merit list of qualified aspirants. Look for MP PPT results 2018 link and tap on it. Enter your Hall Ticket Number and Date of Birth and tap on submit. Finally, the score along with the rank will be displayed on the screen which you can check and download it for your further use i.e., for the counselling process.